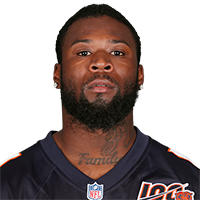 Mizzell didn't see work in the Bears' Week 17 victory, and he ended the season with nine carries for 16 yards while adding eight receptions for 78 yards and a touchdown. 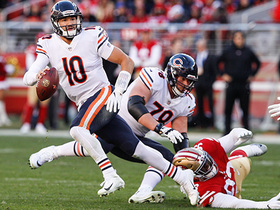 Analysis: Mizzell saw his most work of 2018 when Chase Daniel stepped in for an injured Mitchell Trubisky for two weeks, but otherwise, Mizzell was Chicago's clear third-string running back. He'll be going into the last year of his contract in 2019 and will likely continue to work behind Jordan Howard and Tarik Cohen in the Bears' backfield. Mizzell had one carry for one yard in Chicago's 15-6 victory over the Rams on Sunday. Analysis: After seeing increased work in the two games that Chase Daniel was at quarterback, Mizzell went back to seeing exactly one carry and zero targets, which has been the amount of work he's logged in each of the four games he's played with Mitch Trubisky under center. It'll be tough to expect significant production from Mizzell during the fantasy playoffs. Mizzell rushed three times for seven yards while adding a pair of receptions for an additional 16 yards in Chicago's overtime loss to the Giants on Sunday. Analysis: Mizzell functioned as the clear No. 3 in Chicago's backfield, and his five touches represented a season high. Although he's not getting enough work to be a consistent fantasy option, he'd likely be thrust into a prominent role should Jordan Howard or Tarik Cohen suffer an injury. 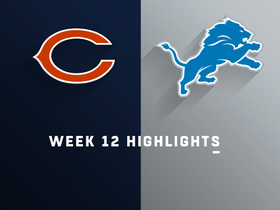 Mizzell caught two passes for 21 yards and a touchdown while adding seven yards on his lone rushing attempt in the Bears' victory over the Lions. Analysis: Mizzell scored his touchdown when he drew single coverage and easily got open behind his defender for an 11-yard score. In his four games since being signed from the practice squad, he's touched the football six times, and he seems to have emerged as Chicago's No. 3 running back. 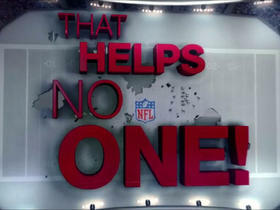 However, he won't likely see enough usage to become a fantasy factor unless the Bears suffer an injury at running back. Mizzell signed a contract with the Bears on Saturday. Analysis: Mizzell was with the Bears for three games as a rookie last season and has been on the team's practice squad since getting waived at roster cutdowns in September. The 25-year-old should serve a special teams role with the rest of the Bears' running back group currently in good health. Mizzell was waived by the Bears on Saturday, Larry Mayer of the team's official site reports. 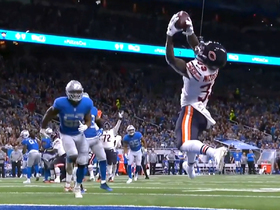 Analysis: Mizzell appeared in three games with the Bears as a rookie in 2017, but he'll be a member of Chicago's practice squad to begin the 2018 regular season. Mizzell rushed 12 times for 27 yards and a touchdown in Thursday's 30-27 loss to the Bengals. Analysis: With Chicago resting its top three running backs, Mizzell drew the start but failed to reach 2.5 yards per carry. Despite the unimpressive performance, he appears to be a lock to stick with the team as its fourth running back, meaning significant fantasy value is unlikely unless the team suffers injuries at the position. Mizzell had five carries for 15 yards in Thursday's loss to the Ravens. Mizzell was on the active roster for four games in 2017, but he didn't see a single snap. Chicago Bears quarterback Mitchell Trubisky hits wide receiver Taquan Mizzell for 26 yards after a wild scramble.